FOSTER LAW FIRM'S ERISA AND INSURANCE ATTORNEYS HAVE REPRESENTED CLIENTS FROM THROUGHOUT THE UNITED STATES. Not only are there countless types of plans, but there are various laws that apply to the different plans and types of claims. The law which most frequently applies to benefit claims is "E.R.I.S.A." which stands for the Employee Retirement Income Security Act. E.R.I.S.A. is a federal law found at 29 U.S.C.S. 1001 et.seq. E.R.I.S.A. has an administrative scheme that must be adhered to in the event of a claim. When filing a benefit claim under E.R.I.S.A., it is important to consult an experienced attorney to help you maneuver the complex procedures. Contact Attorney Nathan Bax at the Foster Law Firm. If your claim is denied under E.R.I.S.A. and if you fail to properly or in a timely way appeal the denial then your claim may be very seriously jeopardized later. Additionally, with an E.R.I.S.A claim, it is often the case that the administrative review and appeal is the most important step of the case such is where the administrative record is developed. If you have an E.R.I.S.A. benefit claim that has been denied then you should seek an experienced lawyer to assist you with the appeal of denial. You should not wait until the appeal is concluded to seek counsel. If your administrative remedies are exhausted (i.e., your appeal is denied) before you procure the services of an attorney then that attorney that you retain at a later date may very well have his or her "hands tied" in handling your lawsuit that is filed with the court. Contact us to speak with an experienced lawyer. E.R.I.S.A. does not apply to employees of governmental entities. State, county, and local government employees, in South Carolina, are provided various insurance coverage. However, State employee's claims are usually covered by the South Carolina Administrative Procedures Act which is found at S.C. Code Ann. 1-23-380 et.seq. The South Carolina Administrative Procedures Act works similar to E.R.I.S.A. and has its own complicated administrative workings. If an appeal is not made correctly or if a deadline is missed then the result will be that the claimant will likely not be able to pursue their claim further. Therefore, it is very important with State employee claims that counsel be procured immediately upon a denial of a claim. Contact our disability income attorney and speak with Attorney Nathan Bax. Federal employees are also provided benefits including health insurance, life insurance, long term disability, etc. Federal employees' claims are governed by a set of statutes including the Federal Employee Health Benefits Act. Federal employees' claims are governed under a different set of administrative schemes. Like E.R.I.S.A. and State employees' claims, there are strict requirements and time constraints as far as denied claims. You should obtain counsel as soon as you learn that your claim is denied. Failure to act in a timely way on a denied claim or to act properly on a denial may hurt your claim to the point that you cannot pursue it. Contact Nathan Bax at the Foster Law Firm. For those whose claims are not governed by one of the aforementioned statutes, there are other laws that may apply. The most prominent set of other laws that would apply to insurance claims would be the common law of the State of South Carolina. If an individual has a private insurance policy that is not provided through an employer then it is likely that the person's rights will be governed by the State substantive and common law. Various States' common laws are much different and there are various remedies available under a particular State's law. State law has certain statute of limitations issues and other requirements that must be adhered to. If a person does not act timely and misses a statute of limitations then the person's right to pursue the matter will be forever barred. 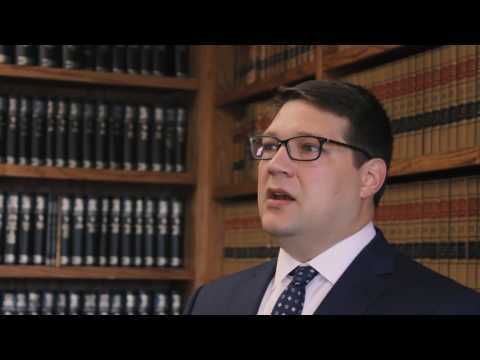 Contact Attorney Nathan Bax to ensure your rights and benefits are protected. If you have any questions, inquiries, or desire representation with regard to E.R.I.S.A., long term disability insurance claims, or any of the foregoing types of benefits or claims, please entrust your matter to the E.R.I.S.A. attorneys at our firm-Nathan Bax and Leila Louzri. Call 866-279-9772 or e-mail us to schedule a consultation. While our office is located in Greenville, South Carolina, we are experienced supporting E.R.I.S.A. and disability income claims nationwide.